Many people have asked me how I make my models, so this week I’ll share some of those secrets. It’s been almost one year since I started to make models. Once I have selected an attraction, I start making blueprints for the model. I make the layouts on my iPad or by hand. Next, I’ll trace the layout on a thick sheet of cardboard. I trim the sides. 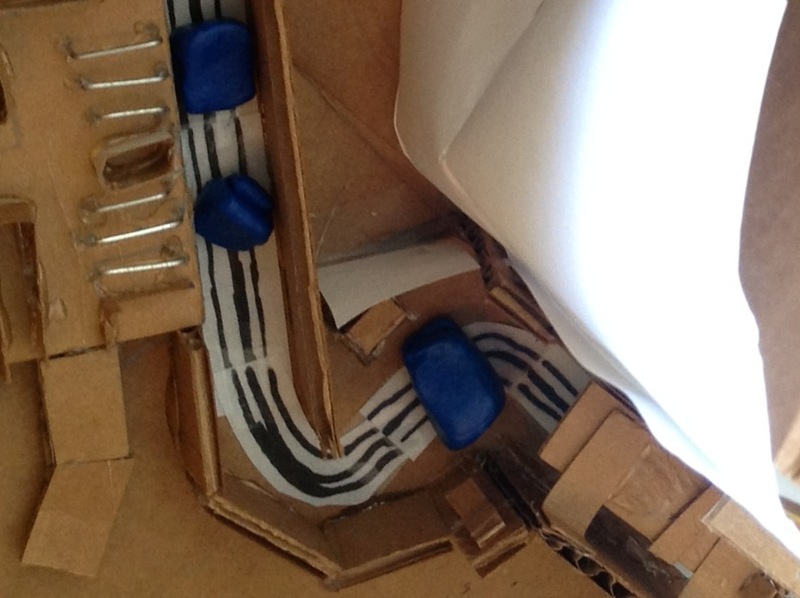 Depending on the model the building process will vary. For example, I’m rebuilding Cars Land (This model was originally made in May 2012, reskinned the rock work in August, and now rebuilt as a whole). I will look at the elevations of the rockwork in sections. There are main supports that hold up the upper sections of the frame. 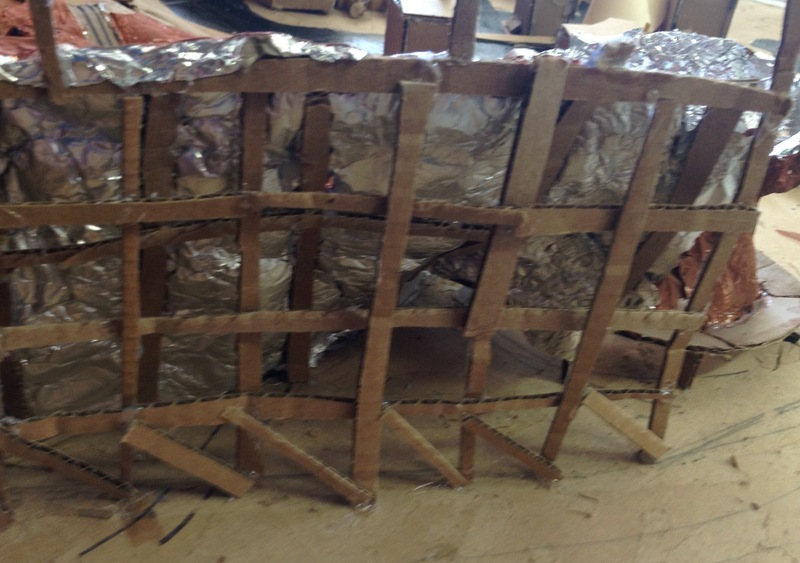 About every three inches there is a support that the foil, rockwork, is held on. This piece helps give the mountain range it’s characteristics. In my currently being rebuilt Cars Land model, there are more false supports. This help the frame look realistic. Recently I learned how to paint buildings and rockwork. In this case I’m painting the Cadillac Range from the start. I form and hot glue the foil to the frames and the mix the paint on a plate. I add the paint with large brushes first, then with smaller ones to add the detail. I built my first steel coaster model about one year ago. It was Manta at SeaWorld San Diego. I made the pillars out of leftover blue clay from the Transformers: The Ride 3D model ride vehicle, EVAC. Here is a HUGE mistake I made! This clay is not the type that dries in the oven. I learned this mistake at the end of the summer. The clay partly melted from the summer heat out in the garage. 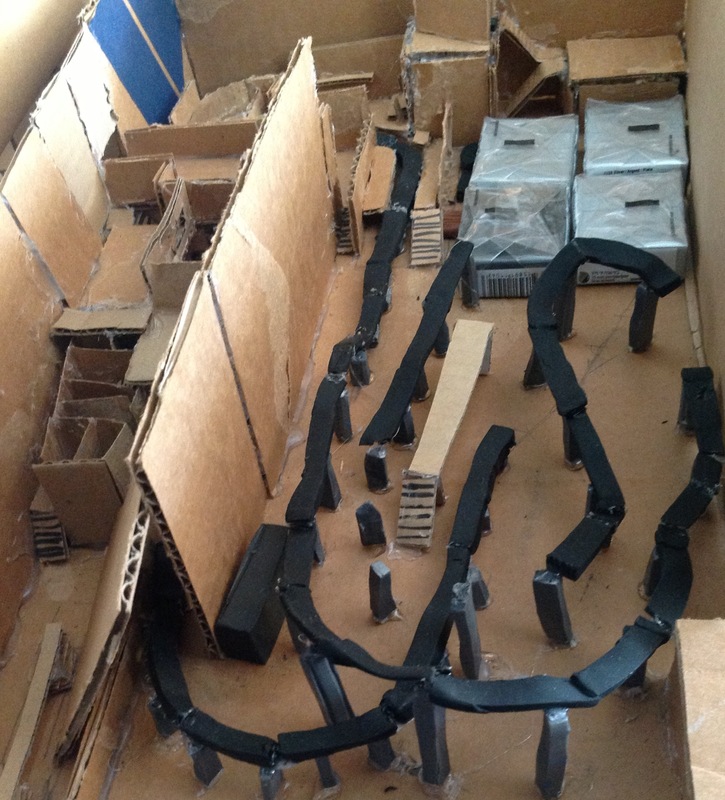 This model is currently being rebuilt with my third generation of coaster tracks. My second generation of steel coaster track is on my Revenge Of The Mummy at Universal Studios Hollywood. This track is oven drying clay. I form the “wet” track and them put it in the oven. I would then glue the parts together and you got it! Only one problem, its HARD to put together. I have developed a new concept, using pipe-cleaners. I make a base and form sections of the track, then I glue the supports together. 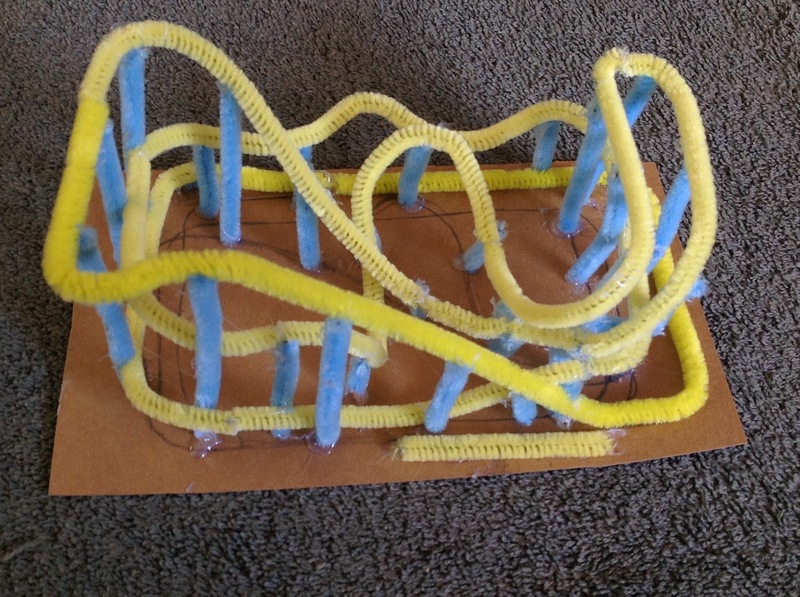 The most recent model using this idea is Undertow, a new spinning coaster coming to the Santa Cruz Beach Boardwalk this year. I hope you like these looks at how I make my models. Hopefully I’ll write more of these. Please share this article with your friends and family. Like us on Facebook for exclusive content, photos, and contest. You can email me at kolbykonnection@gmail.com. Please leave a comment if you have any suggestions for future models. Thanks for reading and come back every week! Wonderful article and models Kolby!